Hewlett Packard - Spectre x2 12-A Series HP Spectre x2 Detachable 12T-A000 12-A Series Intel Core m3-6Y30 0.90GHz SR2EN Processor 4GB Laptop Motherboard 830319-001. 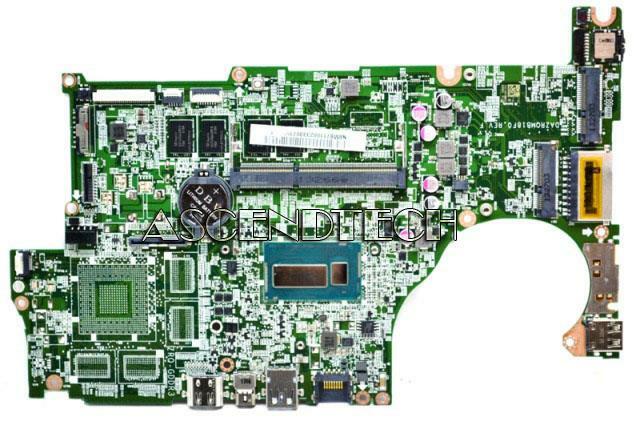 Toshiba - Satellite P35W-B3220 Toshiba Satellite P35W-B3220 P55W-B5112 Intel Core i5-4210U 1.70GHz SR1EF Processor 4GB Laptop Motherboard A000297860. 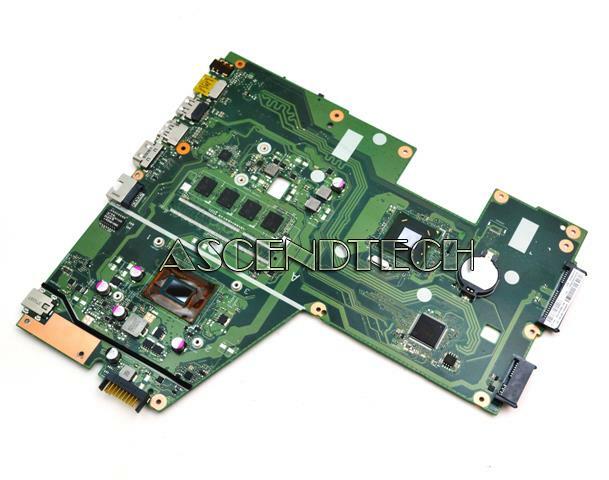 Acer America - Aspire V5-122P Acer Aspire V5-122P AMD A6-1450 1.0GHz Processor 4GB Laptop Motherboard NB.M8W11.001. Hewlett Packard - Pavilion 13-R Series HP Pavilion x2 Detachable 13-R Series Intel Core i3-4012Y 1.50GHz SR1C7 Processor 4GB Laptop Motherboard 765994-001. Asus - X551CA Seres Asus X551CA Series Intel Celeron 1007U 1.5GHz SR109 Processor 4GB Laptop Motherboard 60NB0340-MB1060. 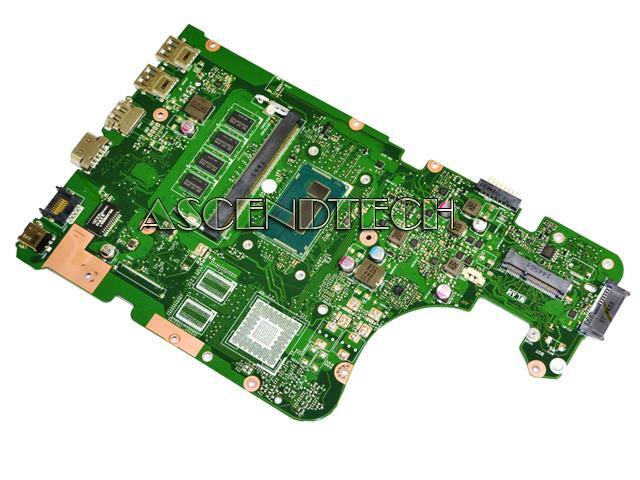 Hewlett Packard - Pavilion x2 13-R100DX HP Pavilion x2 Detachable 13-R100DX Intel Core i3-4012Y 1.50GHz SR1C7 Processor 4GB Laptop Motherboard 766000-001. Asus - X555LA Series Asus X555LA Series Intel Core i3-4030U 1.90GHz SR1EN Processor 4GB Laptop Motherboard 60NB0650-MB1810. Hewlett Packard - Envy 14T-J100 14-J Series HP Envy 14T-J100 14-J Series Intel Core i5-6200U 2.30GHz SR2EY Processor 4GB Laptop Motherboard 829089-001. Hewlett Packard - Pavilion x2 12-B Series HP Pavilion x2 Detachable 12T-B100 12-B Series Intel Core m3-6Y30 0.90GHz SR2EN Processor 4GB Laptop Motherboard 841770-001. Hewlett Packard - Envy 15-K Series HP Envy 15T-K000 15T-K100 15-K Series Intel Core i7-4510U 2.00GHz SR1EB Processor DSC 850M 4GB Laptop Motherboard 763587-001. 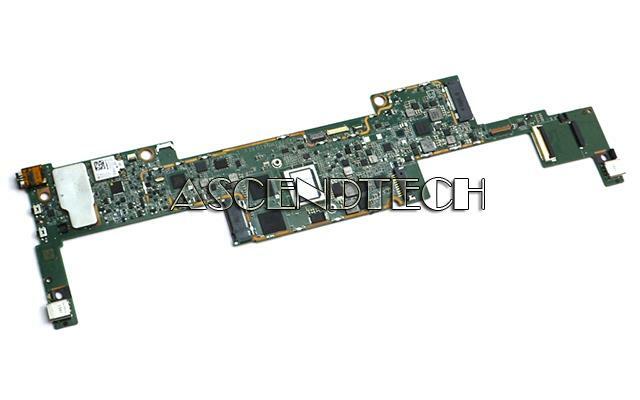 Sony - SVF15 SVF15N Series Sony SVF15 SVF15N Series Intel Core i7-4500U 1.80GHz SR16Z Processor 4GB Laptop Motherboard B-9986-263-5 B99862635. Lenovo - Yoga 700 Series Lenovo Yoga 700 700-11ISK 11.6 Series Intel Core m5-6Y54 1.10GHz SR2EM Processor 4GB Laptop Motherboard 5B20K57003. 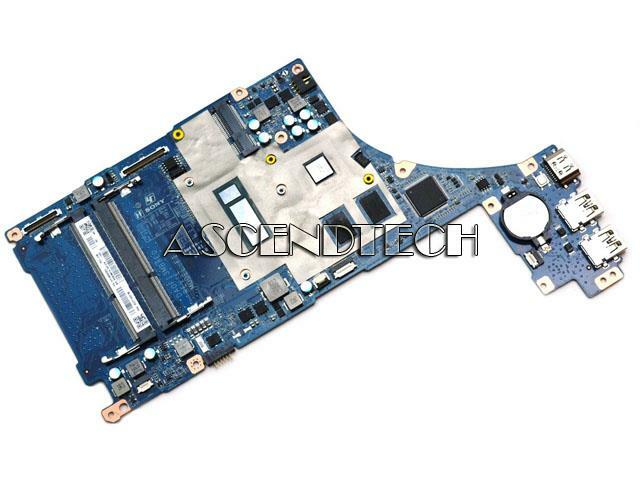 Acer America - Aspire V5-573G V7-582P Acer Aspire V5-573G V7-582P Series Intel Core i7-4500U 1.80GHz SR16Z Processor 4GB Laptop Motherboard NB.MB711.002. Hewlett Packard - Envy 15-AE Series HP Envy 15T-AE100 15-AE Series Intel i7-6500U 2.50GHz SR2EZ Processor DSC 950M 4GB Laptop Motherboard 829900-001. Hewlett Packard - Envy 15-AE Series HP Envy 15T-AE000 15-AE Series Intel Core i7-5500U 2.40GHz SR23W Processor DSC 950M 4GB Laptop Motherboard 812712-001. Hewlett Packard - Envy 17-K Series HP Envy 17-K Series Intel Core i7-5500U 2.40GHz SR23W Processor DSC 850M 4GB Laptop Motherboard 782621-001. Hewlett Packard - Envy 17T-K300 HP Envy 17T-K300 Notebook PC Series Intel Core i7-5500U 2.40GHz SR23W Processor DSC 850M 4GB Laptop Motherboard 832000-001 832000-501 832000-601 832003-001 832003-501 832003-601 DAY31AMB6C0. Hewlett Packard - Envy 15T-K200 15-K Series HP Envy 15T-K200 15-K Series Intel Core i7-5500U 2.40GHz SR23W Processor DSC 850M 4GB Laptop Motherboard 794987-001. Hewlett Packard - Envy Notebook 13-D Series HP Envy Notebook 13-D Series Intel Core i5-6200U 2.30GHz SR2EY Processor 4GB Laptop Motherboard 829284-001. Hewlett Packard - Envy 17T-K000 17-K Series HP Envy 17T-K000 17-K Series Intel Core i7-4510U 2.00GHz SR1EB Processor DSC 850M 4GB Laptop Motherboard 763727-001. 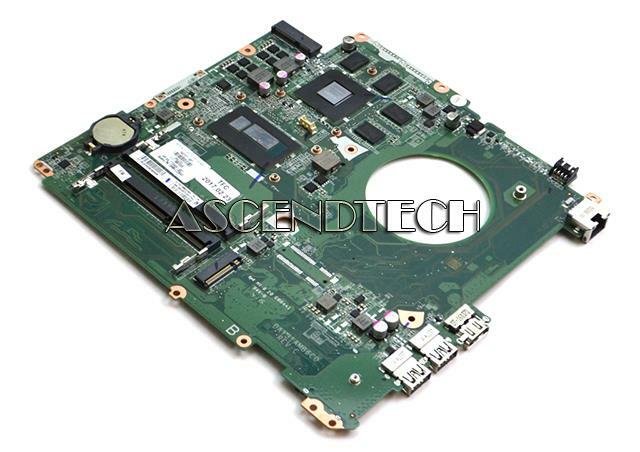 Hewlett Packard - Envy 17-R013TX 17T-N100 HP ASW72 LA-C991P Envy 17-R013TX 17T-N100 17-N Series Intel Core i7-6700HQ 2.60GHz SR2FQ Processor DSC 950M 4GB Laptop Motherboard 829066-001 829066-501 829066-601 832317-001 832317-501 832317-601. Hewlett Packard - 15-AY Series HP 15-AY Series Intel Core i7-7500U 2.70GHz SR2ZV Processor DSC R7M1-70 4GB Laptop Motherboard 903786-001. Hewlett Packard - Envy 17-N Series HP Envy 17T-N000 17-N Series Intel Core i7-5500U 2.40GHz SR23W Processor DSC 950M 4GB Laptop Motherboard 813682-001. Hewlett Packard - Envy 17T-N100 17-R Series HP Envy 17T-N100 17-R Series Intel Core i7-6700HQ 2.60GHz SR2FQ Processor DSC 950M 4GB Laptop Motherboard 829068-001. Hewlett Packard - 15-AY 15-AX 15-BC Series HP 15-AY Omen 15T-AX000 15-AX Pavilion 15T-BC000 15-BC Series Intel Core i7-6700HQ 2.60GHz SR2FQ Processor DSC 960M 4GB Laptop Motherboard 856678-001. Hewlett Packard - Envy X360 15-BP Series HP Envy X360 Convertible 15-BP 15M-BP Series Intel Core i5-8250U 1.60GHz SR3LA Processor 4GB Laptop Motherboard 942258-001. Hewlett Packard - Pavilion 15T-AK 15-AK HP Pavilion Gaming 15T-AK000 15-AK Series Intel Core i5-6300HQ 2.30GHz SR2FP Processor DSC 950M 4GB Laptop Motherboard 832847-001 832847-501 832847-601 841883-001 841883-501 841883-601 DAX1PDMB8E0. Hewlett Packard - Pavilion Gam 15-AK Series HP Pavilion 15-AK100NE Pavilion Gaming 15-AK Series Intel Core i7-6700HQ 2.60GHz SR2FQ Processor DSC 950M 4GB Laptop Motherboard 832849-601. Lenovo - Y70-70 Touch Series Lenovo ZIVY2 LA-B111P Y70-70 Touch Series Intel Core i7-4710HQ 2.50GHz SR1PX Processor 4GB Laptop Motherboard 5B20G59763 8S5B20G59763. Hewlett Packard - Omen 17T-W000 17-W Series HP Omen 17T-W000 17-W Series Intel Core i7-6700HQ 2.60GHz SR2FQ Processor DSC 965M 4GB Laptop Motherboard 862259-001. Hewlett Packard - Notebook 15-AY Series HP Notebook 15-AY Omen 15-AX Series Intel Core i7-6700HQ 2.60GHz SR2FQ Processor 965M 4GB Laptop Motherboard 859750-001. Hewlett Packard - HP Envy 17-AE Series HP Envy 17T-AE100 17-AE Series Intel Core i7-8550U 1.8GHz SR3LC Processor GeForce MX150 4GB Laptop Motherboard 940820-001.